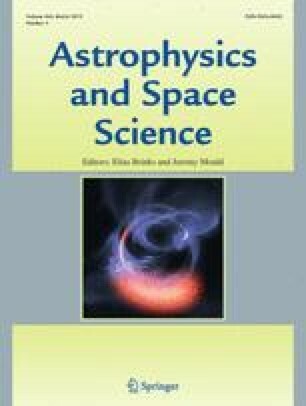 We have learned recently that the inner halo of the Milky Way contains a kinematically coherent component (Gaia-Enceladus) from a significant merger 10 Gyrs ago. By contrast the inner (defined to exclude the Magellanic Stream) halo contains no similar intruder stellar population of billion year age. The tracer we use to set the corresponding upper limit is Gaia asymptotic giant branch stars, rather than Gaia kinematics. The primary sample is drawn from Gaia DR2 with SkyMapper photometry. This is supplemented with PanSTARRS and 2MASS photometry. As the Gaia mission proceeds, a star formation history in the galactic halo should emerge. Antlia 2 is a diffuse dwarf galaxy discovered using a Gaia kinematic filter (Torrealba et al. 2018). Such a filter can be added to a query such as the one in Sect. 2.1 and for a radius of 0.63 degrees around the centre of Antlia 2, requiring \(\pi < 0.1\) mas, PMRA\((\cos\delta ) > -1.5\) mas/yr and |PMDEC\(| < 1.5\) mas/yr yields the CMD in Fig. A.1. The reddening of Antlia 2 is E(B-V) = 0.16 mag according to Schlegel et al. (1998). 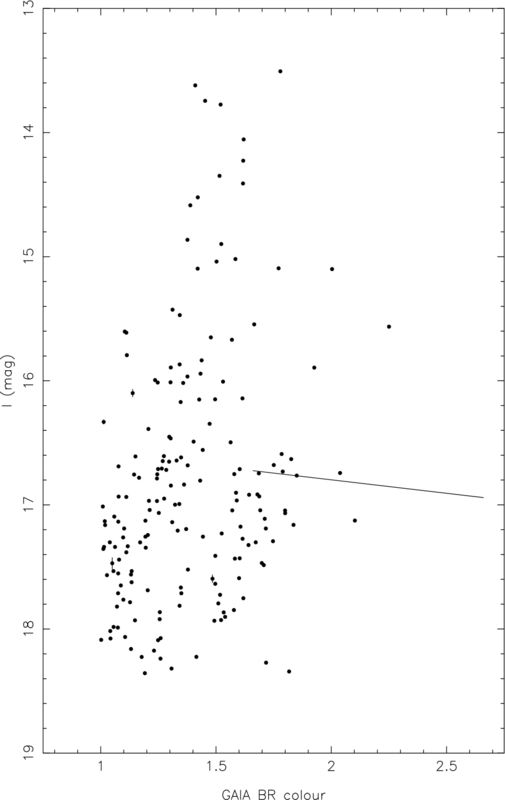 The red giant branch is clearly seen in the SkyMapper-Gaia photometry and is not seen in a control sample annulus 1 degree from Antlia 2. Evidently, Antlia 2 is closer to 110 kpc away than the 129.4 ± 6.5 kpc measured by Torrealba et al.